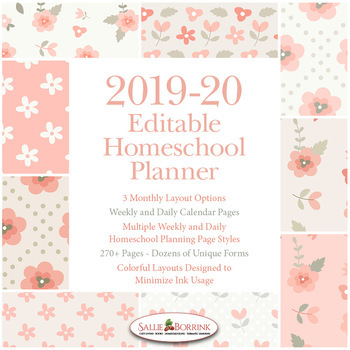 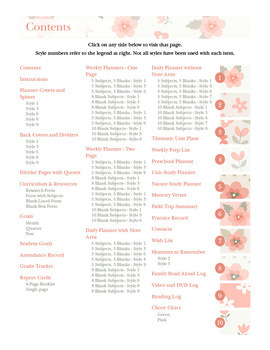 Enjoy a colorful 2019-2020 homeschool academic year with this versatile Pink Vintage Flowers Editable Homeschool Planner. Designed to offer options and variety, it contains 290+ pages for July 2019 through June 2020. 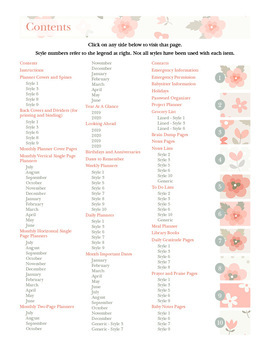 If you open the Preview and then download the file into Adobe Reader, you will be able to see how the editable fields work.